That time has come once again, North American gamers, for details of the downloadable treats coming to Wii U and 3DS this week. There's a major surprise with a retail freebie on Wii U, while there are a couple of new titles on the 3DS eShop and some excellent Virtual Console options; plenty of tempting discounts have also been thrown in. Let's get to it. What? You missed the Nintendo Download European Update this week? Fear not, the details are right here, and there are also loads of Super Smash Bros.-themed discounts to consider as well. 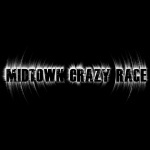 Midtown Crazy Race (Jose Varela, $4.99) — This is pitched as "tribute to the car games from late 90s", with bold promises of an open world, seven cars, realistic physics and plenty of challenges. Unfortunately, it fails to actually deliver as a good game, and we were extremely critical of this one in our Midtown Crazy Race review. Mega Man 6 (Capcom, $4.99) — Completing the NES set on Wii U, this was the end of an era and even introduced armour into the formula. Aside from that change, however, it was a safe effort and not one that lived up to some of the glorious earlier entries; nevertheless we gave this a reasonable recommendation in our Mega Man 6 review. Life Force (Konami, $4.99) — An iconic shooter from Konami, this title alternates from horizontal to vertical stages and hits plenty of its marks — attractive 8-bit visuals, memorable tunes, tight gameplay and the option for two-player co-op. It's also pretty darn difficult, but that didn't stop it receiving an 8/10 in our Life Force review. Disney Infinity (Disney Interactive, free) — In a surprising move, last year's début for Disney's toy-driven game arrives on the eShop as a free download, potentially as a means to drive interest in the upcoming sequel. Though gamers will need to pick up the game's portal and some figures, it's fascinating that the download itself has no cost. 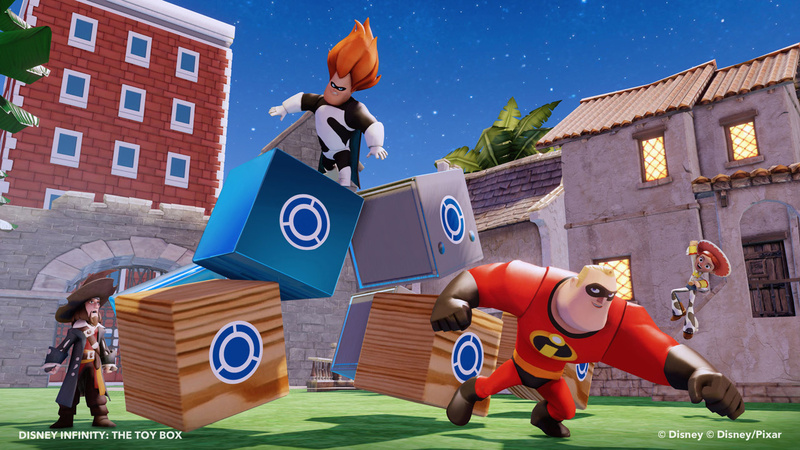 We were rather impressed with this in our Disney Infinity review last year. Demon King Box (CIRCLE Entertainment, $3.99) — This looks like an intriguing title in principle, with RPG elements as you gather and level-up demons; the minor twist is that it incorporates real-time strategy in its battles. This looks to have plenty of depth and a "gripping storyline", and we'll let you know what we think in our upcoming review. BlazBlue: Clone Phantasma (Arc System Works, $5.99 / $6.99CAD) — With cute versions of BlazBlue characters and the promise of simple, one button brawling, this is a spiritual sequel to DSiWare title BayzBloo: Super Melee Action Battle Royale. There's a story mode along with a simplistic challenge option, and we'll see whether this can be more engaging than its predecessor in our review. Xtreme Sports (WayForward, $4.99) — This Game Boy Color title combines a host of sports presented with a twist, while you also explore the island / venue "to find friends, foes and even a few hidden treats". It all comes together nicely for a fun, colourful game, as explained in our totally rad Xtreme Sports review. A decent selection this week in North America, we'd suggest. Let us know what you plan to download in the poll and comments below. I can't pass up free Disney Infinity, though Mega Man 6 will be mine soon after! Now I'm really upset. First time I comment about this... But, nothing really good for the last 3 weeks in NA? Come on, NoA! Free? Y no love for Europe, Disney? I have been waiting to check out Boulderdash XL-3D. I was a fan of the original way back in the day and now the price is right. And that completes the nes megaman series 4 both consoles. Hopefully 7 and Bass isn't too far off. @andrea987 It's not really "free" since you must get the portal and toys for playing. womp, womp Another week with nothing I want to play. Disney Infinity isn't really free though, since you have to buy implements to play it. I may get Xtreme Sports. EDIT: and Boulder dash at that price! Disney Infinity is like getting a physical game on Xmas and not owning the console it plays on. The NES collection for Mega Man is complete, maybe that means the new challengers sale will happen soon. Wow, you're hard to please. A Nintendo classic from the SNES, a well-reviewed Konami game, 2 NES Mega Man games, one of the best shooters on the NES (if not the best), a classic beat 'em up and some Mega Man battle game that people seem to love? I'd say these are 3 of the best weeks in a long time. is disney infinity free for limited time ? or no ? I'll download Disney Infinity cause I won't have to put in the disk for the boys. 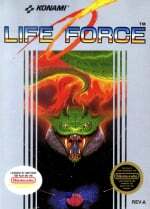 I'm seriously considering Life Force because I played it so many hours way back when. For Disney Infinity, approximately how much cost are the portal and a few figurines??? I'd get Disney Infinity but only for Gravity Falls!!! I was also told by the rep on Miiverse Scram Kitty was going to have a sale this week. Still hoping that happens. That will be my choice. Nothing for me.... this still can be so much better. How about some price drops on retail games on Eshop?! @Krambo42 Gun-Nac is the best NES shmup by miles. @bezerker99 You need playsets as well. (Or you can only use part of it). @unrandomsam Well, fair enough, I'm not a big fan of the genre and I've never played that one. But even if it's not the best, Life Force is pretty awesome, and I know it's pretty well-respected and loved. @Krambo42 Okay, I was rude. I'm sorry for that. However, this is the first time I commented like that. Got Super Mario Kart for $1.50 two weeks ago. I'm not really into Megaman or those other VC games. Then, NoE will release GBA Fire Emblem remake for VC today, a game I would gladly pay full reatil price. But NoA won't. Disney Infinity is free?! That's awesome. Granted I've already played it on PS3, but if the portal works on both consoles, I'll do it all again. It is not that suprising disney infinity. It was free on pc and other online shops. The toys and the portals are where the money is coming from. So if they can sell more toys they will sell this free. I've been meaning to get back into Infinity for the past few days. Glad to see they're offering a free version. Turns another one of my retail games to downloadable titles, and I'm cool with that. I'm just hoping all the save data from my disk gets transfered to the DL version, but even then, it's not much. I wasn't a huge toy box builder. @Olmectron Oh, no, don't worry about it...I didn't think you were being rude, just...I don't know...it seems to me that these last 3 weeks have been a lot closer to what people have been hoping for. Of all the times to complain, this just seemed like a weird time to me. If none of these games are for you, that's fine, but they've been releasing a good number of quality games lately. Even next week when Donkey Kong Jr. Math hits, I think we're supposed to get Mega Man X3, which is huge. We've been getting more quality, more SNES, just...more. I'd say things are looking up. Of course, we'll see if it lasts. @Krambo42 Just because these games appeal to you doesn't mean that they have to appeal to everyone else. Let people complain if they want. It's good to have different opinions of the same subject. @Krambo42 I'm getting Layton x Ace Attorney crossover next week. I've been waiting for it since it was announced. My angry comment was probably because I'm jealous for all of the discounts NoE on eShop has been doing because of SSB. And that's beacuse I'm going all digital, so even a 10% discount is very welcome for a Nintendo title. Heh, sorry again anyway. And yes, we're getting many super games for Wii U and 3DS in September and October. Hope it continues. Is Boulder Dash worth it? Especially at that low a price? Nice to see the Virtual Console is picking up the pace with 2 WiiU VC titles, (even if they're already on 3DS) and the first new Gameboy Color VC game for 3DS in a loooong time. Nano Assault is a lot of fun if you like SCHMUPS, its not bullet hell by any means. Abyss is a quick fun. Takes some patience to learn the controls, but I really enjoyed it. World Conqueror 3D I have been having fun with b/c I enjoy the game Risk, so Euro Conqueror 3D might be up your alley if you like Risk. Like how there is some solid VC love again this week, and I already read one review giving Demon King Box a 9/10. Will wait for NLife review as well, but that looks like it might be a steal of an RPG for $4. Demon King Box looks really cool, and hard to pass up at that price. Will probably also get Nano Assault Neo while it's on sale as I've had my eye on it for a while. @gp993 I bet it is forever. I really hope Life Force makes it to Europe soon. Shm'ups make up a big part of my Wii VC collection despite the "risks" due to the lack of a central account system. Still cheaper than getting a the system(s) and games. If only Sega could get some Saturn & Dreamcast games on the Wii U VC. I'd sell a kidney for Hyper Dual and Zero Gunner 2. @Sadodi I'm not saying they have to appeal to everybody. Obviously not every game appeals to everybody. But there has been a noticeable improvement in the quality of games over the last few weeks. If people don't like Mega Man, for example, that's fine. But I don't think anybody would argue that they are bad games totally undeserving of being on the VC. @Olmectron Ha, yeah, I don't like to argue either. I was just surprised to see somebody say these last three weeks had "nothing really good". Layton vs. Ace Attorney should be pretty awesome. I'm a big AA fan. Enjoy! Definitely getting Blazblue and likely will pick up Xtreme Sports one day. But for now, my wallet rests because next week will have PLxPWAA, Tappingo 2, and Azure Striker Gunvolt. Everybody should download Disney Infinity for the Free Club Nintendo coins, of course. Nothing this week. Kind of hoping for a Smash Bros eShop sale here in the US, but we'll see what happens. @Mega719 It's reasonable to think Disney makes more money on the toys than anything else. Disney Infinity for free is a great idea? Why? It's a digital copy. It's on your console. That's nice. There's no other real use for it unless you somehow get your hands on a base station (which could happen pretty easily once 2.0 comes out and everyone will have an extra). Still, it will be nice to have it on console without having to put the disk in and wait. Also, for anyone interested go look at retail for Disney Infinity. Target had the base set on sale for $30. That's the base station, the game, and three figurines for $30. Plus, if you want it on your console now you can download it for free, too. Xtreme Sports sounds cool. Will also keep an eye on Demon King Box. am I missing something? when I go to the eshop it shows Disney Infinity as retail only no download. Argh...Why does Mega Man X3 have to be saved for the last week? It's my most anticipated one...It's like Mega Man Xtreme 2 all over again. Also waiting for a sale on Steel Empire. Disney Infinity is free... ARGH! I could have just bought a portal off of eBay or something... Honestly I wouldn't be upset about spending a hundred dollars when it came out, if I enjoyed the game more. It seemed like something I would really enjoy, but for whatever reason I just couldn't really get into it... Oh well. @torch1784 It updates at 9AM PT. That means 1 hour and 15 minutes left. well, the figures are not free, and thus it still require you to purchase the figures for the game. @Olmectron thanks I thought I was going crazy. The portal is not sold separately. You'd have to get it used... but then that person selling it would probably want to sell the game with it too. I think this is just a way to get it installed on your console... but as I said, once 2.0 comes out (soon) since it's the portal always comes with that version of the game, people will then have an extra portal laying around they might want to get rid of it. It's just Abyss for me this week, might grab a few older releases I havent picked up. As for Disney Infinity, it seems completely worthless as a promotional piece if people would still need to buy a portal and figure. You had me at free, Disney. You had me at free. It's like when I bought Mario Kart. Had the 4 games NoA was offering, so I chose one I had only on disc and sold the disc. Although maybe this time I won't be able to sell the disc alone. Sigh... At least it's more comfortable to not change discs. Oh well, next week for sure I'm gonna spend some money. Gunvolt and I think Tappingo. @Olmectron I assume it's for people who buy 2, they can get some cheap DI1 stuff. Argh, I want that Demon Box! Hurry it up, CIRCLE! Someone in Europe is waiting! Also, screw Infinity, wouldn't even play Disney trash if I got paid. @aaronsullivan or if you buy 2, you have a portal for 1. But it still says retail only on the eshop. Are they going to make this downloadable later? Cool I already have the platform and an army of figures lining my wall. So do we have an estimate on what time these will go live? I never played Disney Infinity,so I guess I'll download it to check it out. Boulder Dash XL 3D for me today. Only have $2.90 in my account, and the value for a $1.70 sounds incredible! @Spoony_Tech Scram Kitty was on sale last week: http://www.nintendolife.com/news/2014/08/nintendo_download_14th_august_north_america If you check the eShop now, it could still be on sale. @Kilroy I was just informed by a friend of this. I must of miss read the quote from the rep. I was made to believe it was this week it was going to happen. When last I checked it wasn't on sale yet but the was some time last week. It might not of updated yet when I checked. Thanks though for that post! DI will get more play in my house now that I can play it without swapping discs..... Yup, I'm that lazy. 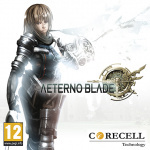 I think this is mainly for those that have the PS3 or Wii version. It's like cross-buy in a way. I just kidding, XD, well, Maybe, I will check this game, but, I have other 2 options in this moment. Im definitely getting blazeblue. I just got disney infinity a couple days ago because the target sale and im seriously enjoying the game so far its a lot of fun. @rosebud @Beau_Skunk It's pretty good. I downloaded it last time it was discounted and I rather enjoy it. No frills, but lots of options and levels and a good dose of charm. I will grab the free Disney Infinity when I get home and start looking around for a portal. I can grab the Cars and Toy Story playset and they will be happy. It appears the PC version is also free on their website now (Disney Infinity 1.0) and comes with a digital starter pack of the Incredibles. Instead of needing a portal you just digitally purchase the characters you want. Perhaps this is what the Wii U digital version will do also. EDIT: As stated below, this is a free upgrade for Wii Disney Infinity owners.... Sad, as I wouldn't mind the game for my children, if I didn't need to have the statues and other crap all over the place. That Demon King game looks interesting. Not going to pick up any mega man till I see if NOA is going to get with the discounts. Hopefully this means it's time for Firebrand to shine! No desirable downloads here for me. 'Nothing for me this week' seems to get the highest vote each week but I can't find it in the eshop. If you want to upgrade to Wii U from Wii version (or PS3/Xbox). Free. Even if you have it retail already, digital on-console is convenient and free. Why not buy the base station from Amazon? You'd be much better off getting the 1.0 Starter Edition at heavily discounted at retail (Target currently has it for $30 which includes base station, 3 figurines and 3 playsets) or maybe even used. Or just wait a few weeks and get 2.0 if you are interested in that. Disney Infinity is now free in the Nintendo eShop for Wii U! While you’ll still need a Disney Infinity base and Disney Infinity figures to play the game, families that purchased the starter pack on Wii can now enjoy the game on Wii U with their existing accessories for free! Enjoy online multiplayer and more fun ways to play! Use your Wii U Game Pad to create your own worlds in the Toy Box, or activate missions and unlock toys in Play Sets. Create your own worlds in Toy Box! Mash up unlocked toys from the Play Sets along with Disney and Disney/Pixar characters to invent just about any adventure you can imagine. Notice: A Disney Infinity Figure and Base are required to play downloadable game. Compatible figures and base are available in the Disney Infinity Wii packaged version and the Disney Infinity Wii U packaged version. Additional Disney Infinity figures sold separately at retail stores. File size for digital download is 9.15 GB. Big download. 0.0 If I can manage, though, I can just sell the DI disc and keep all my accessories with the download. I would LOVE to get that Disney infinity game, but I do not have a 16gb USB to download it. Plus I don't have a portal. @Darknyht 9 GB'S?! ...I think I'm gonna faint. August 21 - Megaman IV (3DS) and Double dragon. Then today you guys also got Fire Emblem. Now, at the same time, you guys have been having VC promotions for the last month and a half where NA has seen absolutely nothing in that way. July 31st is the only time really you didn't get that great of a choice for the VC but I'd say 3 of them from the previous week and the massive list of promotions well makes up for that. So, dumb question IS there a way to buy just the portal? @Juma009 that sounds about right. NOA isn't even trying at this point. Got Demon King Box to review and I should be given Blazblue as well within a bit. I personally don't want it, but it's cool that they're giving away Disney Infinity for free. I really want Fire Emblem though, so hopefully we get that soon. I will just download it then delete it so that if I ever need Disney Infinite in the future I don't have to pay. Hmmm do play sets come with a base? I think my daughter may like the frozen one. Will at least poke around with it since it's free. Life force i will definitly pick up. Now just need bubble bobble and blaster master! No fire emblem=nothing for me this week. I want Golden Sun Lost age, Advance Wars 2, Fire emblem (just to name a few that I have been released elsewheres). Pretty boring week in terms of downloads. Still waiting on Pokemon TCG, NoA. @ikki5 Lets not forget about the likely setup next week which was posted in a Nintendo Life article about a month ago. MM7, MMX3 and 2 other Wii U VC titles. This is the first week in a long time I'm having trouble deciding what I want. I'll have to wait on the Demon Box and Blazblue reviews before deciding. You guys ARE hard to please. I was excited about downloading the free Disney Infinity on the Wii U and using our collection we built and played on the 360......until I found out that the 360 base doesn't work on the Wii U! Bases seem to be around $12 on ebay, or I can wait until 2.0 comes out and buy it for the Wii U this time. it's only about a month away. @Spoony_Tech I purchased Scram Kitty last week while it was on sale. I've wanted that game since I first heard about it. Unfortunately, I don't care for it after playing it. If I could do it again, I wouldn't spend my $5 on it. @Spoony_Tech Not to me. I find the controls to be very frustrating and clunky. That Nano Assault Neo discount has me interested. Might get that soon. @Stu13 Get Nano Assault neo it is a great game it was the second game I purchased for my Wii U when I bought it at launch. @SavoirFaire There isn't a Frozen Play Set. They come in a double pack (with texture discs), but you can only use them in the Toy Box; they don't have their own game world like the Incredibles or Toy Story figures. Same with Wreck-It Ralph/Vanellope () and Phineas/Perry. Holy crap, as of the moment of writing this comment, "Nothing for this Week" and "Disney Infinity" are tied with 77 votes! Wow! I wonder why Disney Infinity isn't 100% of the votes! Very smart move to give Disney Infinity away to try and gain more attention for their new game and toy lineup. They know they have more competition coming their way and I respect their attempt to try and convince more try and, eventually, buy their products. Waiting for Mega Man X3! @Obito_Tennyson I guess it has to do with the game requiring the base and figures to play. No point in downloading if you don't have those. So does this mean Disney is selling standalone portals along with Sulley,Mr.Incredible,and Jack Sparrow figures? 2. Buy Skylanders Trap force on Wii, get Wii U download version for free. This is sort of a match for that. Big question is, will Wii U version 2.0 portal work w/ game 1? If that's the case maybe we'll buy 2.0 and think of 1 as a free game bonus. @Grumblevolcano I doubt that will be the setup as it was stated by Nintendo that there will be one Megaman title a week for NA in August. I liked Life Force on my 3DS, but I also said, "I wish this would come to Wii U, it would be easier to get someone to play it with me." Finally, I can get the Wii U version. I'll probably just put it on my wishlist for now, but it's definitely a good (if really hard) game. I have 2.0 preordered and a few figures from 1.0. Is it really even worth DLing the first one and playing it once the second comes out? The funny thing is that I JUST got DI this week because of Target’s thirty dollar sale. So...you can download Disney Infinity for free, but you still need to buy a Starter Pack if you want to play it...? That's about as logical as a Dodrio using Fly, and yet they both exist now. @ikki5 I wasn't talking about NA there, they will probably only get MM7 and then MMX3 on the 1st week of September. I was thinking EU especially as there was a week in which nothing came out. @WindWakerLink You and me both! They said it'd come out this month so I hope we see it next week. 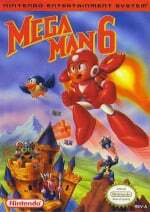 everyone was crying for mega man 6 for YEARS weeell here it is! now what are you gonna do with it? these games aint gonna beat themselves.